Mission Possible needs to raise £5,000 per month to fund the running costs in our two residential homes and also to provide a daily meal for up to 200 children in the Juan Rey district of Bogota. Please donate now to help reach our target. All donations go direct to the projects. 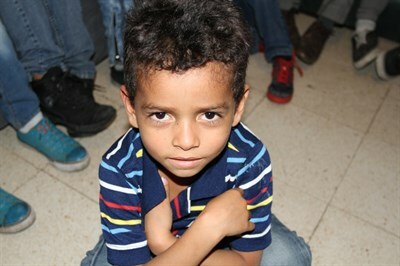 You will have the privilege of being a part of these childrens lives and providing them with hope for a brighter future, away from the evil and perils which have previously denied them a basic childhood. 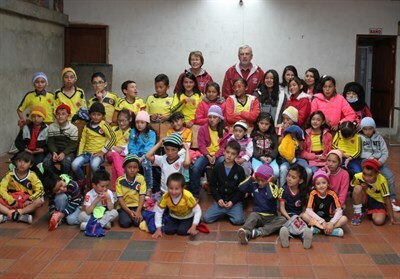 Mission Possible's objective is to bring much needed love, food, shelter and care to children who are, or at risk of becoming, abandoned Street Children in Bogota, Colombia. We also aim to promote the advancement of the Christian Faith through enabling others to witness and share God's love and compassion to children and their families who live in areas of extreme poverty and who are subject to a life of hunger, crime, abuse, despair and rejection. 1. We fund the day to day running costs of Hope House 1, and Hope House 2, two separate residential homes for boys and girls who have been abandoned or are at risk of abandonment. 2. We have just recently constructed a Cultural Centre in the Juan Rey district of Bogota, where up to 200 children will be provided with a nutritious meal daily. This centre will also be used as a place of worship on Sundays. In all of our projects, we want to show and tell of God's unconditional love.